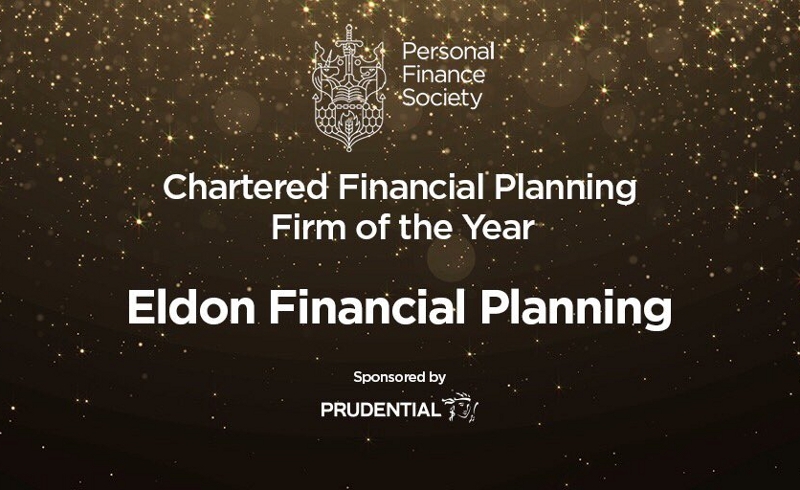 We are delighted to announce that Eldon has just been awarded the highly sought after accolade of UK “Chartered Financial Planning Firm of the Year” by our professional body, The Personal Finance Society (PFS). In addition, Director Gemma Siddle reached the final three in the individual UK “Chartered Financial Planner of the Year” category for a second year in succession. Given that we are a small firm, up against the largest city organisations, we couldn’t be more proud of this historic double achievement for Eldon. It is important to us to deliver to you a financial planning service of the highest quality, and this national professional recognition is a strong endorsement of our performance and progress.